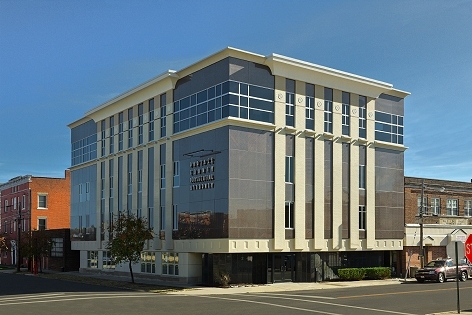 The new home of the Portage County Prosecutor's Office, opened November 12, 2008. The office of the Portage County Prosecuting Attorney represents the interests of the citizens of the State of Ohio, the residents of Portage County, and Portage County Government in many aspects of civil and criminal law. The Prosecutors Office operates with four divisions: a Criminal Division, a Civil Division, an Appellate Division, and a Victim/Witness Assistance Division. The Criminal Division represents the citizens of the State of Ohio and Portage County in prosecuting criminal cases in our Countys three Municipal Courts, two Common Pleas Courts and the Juvenile Court. The Portage County Prosecutor is responsible for all felony and misdemeanor criminal and traffic cases filed each year in these Courts. This Division also renders legal advice and assistance to our Countys sixteen different Police agencies. A Domestic Violence Unit, funded with Federal Grant dollars consists of an assistant prosecutor dedicated to domestic violence cases and an outreach advocate dedicated to assisting victims of domestic violence. A Special Victims Unit consisting of an assistant prosecutor and an investigator prosecutes crimes against children, the elderly, and the disabled. A criminal Child Support Enforcement unit locates and criminally prosecutes deadbeat parents with large child support arrearages. This unit is fully funded by Federal Title IV-D funds. The criminal division is staffed by a total of eleven Assistant Prosecutors, six investigators, and clerical support staff. The Civil Division provides legal representation to all eighteen of our County elected officials and their respective offices. It also provides legal representation to the County Commissioners, all County Boards and Commissions, the Countys eighteen Townships, their Trustees, Clerks, and Zoning Boards. This Division represents all of these entities in matters of litigation in State and Federal Courts, contracts, personnel matters, and collection of real estate taxes owed to the County. 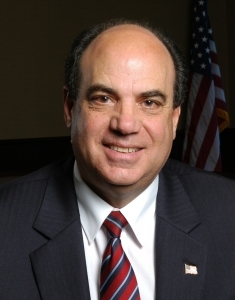 It represents the Department of Job and Family Services in matters of abused, neglected, and dependent children, and renders general legal advice to all of the County and Township officials. This Division is staffed by eight Assistant Prosecutors, a paralegal, and clerical support staff. The Appellate Division provides legal representation in all legal matters of the Criminal and Civil Divisions involving appeals from local court decisions to State and Federal Appellate Courts. This division is staffed by two Assistant Prosecutors. The Victim/Witness Assistance Division provides assistance and information to victims of crime and witnesses in criminal cases, together with referrals to other quality support services offered in Portage County. Advocates are available twenty-four hours a day to assist victims of crimes such as domestic violence, stalking, assault, sexual abuse, child abuse, drunk driving, etc. and to assist the families of homicide victims. These services are available to all residents of Portage County, or anyone who becomes the victim of a violent crime in Portage County. This divisions trained advocates are available to lend immediate support to victims of crime, to accompany them to court appearances, provide information and guidance concerning the criminal justice system, make referrals to appropriate social service agencies and counselors, provide information concerning compensation from State funds, and to notify victims and witnesses concerning important hearing dates and the status or outcome of criminal cases in which they are involved. This division is staffed by five Victim Advocates along with a clerical assistant. This division is funded almost entirely by state and federal grant money. Internships are available to university students for course credit in all divisions of the Prosecutors office. The Criminal Division was responsible for over 6,000 misdemeanor criminal and traffic cases, including 1,236 impaired driving cases (OVI) and 342 misdemeanor domestic violence cases. The Criminal Division received 1,734 felony reports from the sixteen police agencies serving Portage County, including 4 homicide cases, 98 felonious assault cases, 89 felony domestic violence cases, 151 felony child abuse cases, 97 felony burglary cases, 181 felony theft cases, 23 robbery cases, 84 receiving stolen property cases, 13 felony child non-support cases, and 823 felony drug related cases. 1,238 new felony cases were filed in the Portage County Common Pleas Court in 2018, each representing one individual who was charged with one or more felony level crimes. This represents an 8.5% increase over 2017 and the highest annual volume of felony indictments in the history of Portage County, exceeding the previous record which was set in 2017. The Civil Division opened 223 new case files and 126 administrative files in 2018. 370 county contracts were prepared and/or reviewed by this Division. In its representation of the Countys Department of Job and Family Services in matters of child abuse, dependency and neglect, the Civil Division opened 364 new files in 2018. Another 562 files were already active in 2018. The Appellate Division handled 71 new cases in the 11th District Court of Appeals in 2018 and 14 cases in the Supreme Court of Ohio. 83 percent of the Appellate cases arose from criminal matters. The Victim/Witness Assistance Division rendered assistance to a total of 2,382 victims of crime in 2018: 2,043 in the Municipal and Common Pleas Courts, and 339 in the juvenile court.